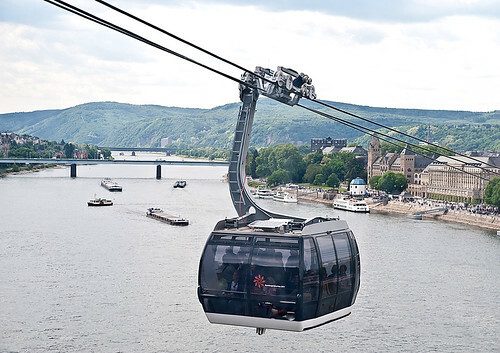 The Koblenz Rheinseilbahn is a temporary 3S system. It was constructed by Doppelmayr and located in Koblenz, Germany as part of the 2011 bi-annual BUGA horticultural show. It is a 0.9km system with 2 slim-profile stations and was the first system to showcase the “Urban Concept” gondola cabin.